A few weeks ago we told the story of the Faithful-Andersons, the second and longest residents of the property known as Camelot. The property is best known today as the fictional Ash Park, the home of matriarch Elizabeth Bligh in the hit television series A Place to call home. In our post on the Faithful-Andersons, we highlighted the fairy-tale like story that befell Frances, William and Clarice Vivian. But the story of the property extends beyond that. The land on which the property exists was part of the land given to the explorer and surveyor John Oxley in 1818. It was named Kirkham Estate, and the only part of his residence that still stands are the white stone stables. When Oxley passed away in 1828, the property was acquired by Oxley’s former business partner Captain John Coghill. The person who transformed the property was the Hon. James White. A member of the NSW Legislative Assembly and later the Legislative Council, White had a penchant for horse breeding and racing. His equestrian interests provided him sizable winnings in 1877 when Chester, one of the 19th Century’s most successful thoroughbred racehorses and leading sires, won both the Victoria Derby and the Melbourne Cup. This provided White with the resources to purchase the property. The finances not only allowed White to purchase the land but to employ one of the truly extraordinary architects of the day. The building was designed by John Horbury Hunt. Hunt was born in New Brunswick, Canada, in 1838. He began training as an architect in 1856 in Boston. Around the outbreak of the American Civil War, Hunt decided to travel to India, landing in Sydney in 1863. He was convinced to stay by James Barnet, the acting colonial architect, and started working for Edmund Blacket, the colony’s leading architect. Within seven years he made such an impact upon the practice that he became the chief assistant, and his ideas so influenced the practice that these seven years became known as Blacket’s ‘queer period’, due to the striking quality of the buildings. In 1869 Hunt started his own practice. Befitting his bold architectural style, Hunt was a noted eccentric. He was prone to outburst of temper, was incredibly energetic and was often in public and private feuds. His skill meant that he often attracted wealthy clients who wanted quality with no worry about cost, and allowed the bold architect to create extraordinary buildings. Two of these were in the Macarthur region. 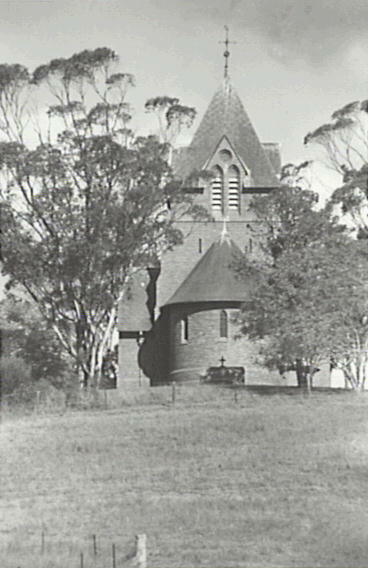 The most well known is Camelot, but Hunt also designed St James’ Anglican Church located in Menangle. St James Anglican Church, Menangle. It took five years to build Camelot and according to a folktale, saw one builder serve his entire apprenticeship on the building (Legend lives On, 1991). The building was finished in 1888. White was destined to enjoy his dream home for only two years, passing away in 1890. His widow remained in the property until 1897 when she too passed away. In 1901 it was purchased by the Andersons. Although White’s finances and Hunt’s ambition created the property, it was the Andersons, later the Faithful-Andersons, that gave the property its humanity, with a love that defied the class structures of colonial Australia and the tragic suicide of William. It was also Frances Anderson who, upon seeing the property, renamed it Camelot. After William’s suicide in 1912 and Frances’ death in 1948, their daughter, Clarice Vivian, never marrying or having children, remained in the property until her passing in 1979. Tales of the property began to grow. 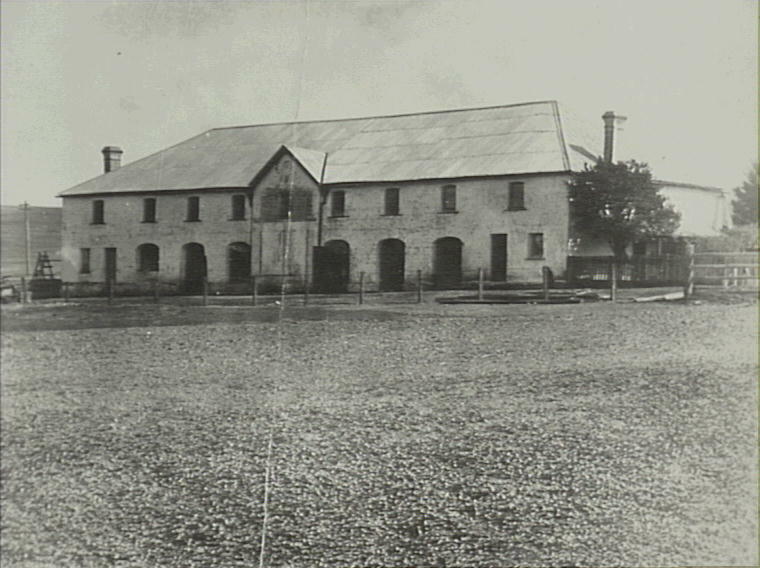 An undated news report exists in the Local Studies Collection that reveals that tales had spread through Western Sydney of the location being haunted. The report indicates that 7 youths had come from Fairfield wanting to see the supposedly haunted Camelot (7 Ghost-hunters spirited off– to court). When this occurred is difficult to determine. However, it would have been after Frances’ death, the report referring to the owner of the property as the ‘elderly spinster Miss Faithful Anderson’ no doubt referring to Clarice Vivian. After will disputes and one withdrawn settlement that lasted over 6 years, the property was purchased by Michael Hawthrone for $2 million. A New Zealand born businessman, Hawthrone sold the property in 1991 (Chancellor, 1991). In 1999 the property was purchased by Brendan Powers as a wedding gift to his wife, Rachel (Stillitano, 2009). It was the under the Power’s patronage that the property began its new life of fame. It was first used in Baz Luhrmann’s Australia, where the house, with its pastoral setting, was used as the location of Nicole Kidman’s house in England at the beginning of the film. It has since become far more recognizable through Channel Seven’s A Place to call home. Although the house is best known for its brushes with fame, this unique and striking property has gained fame in its own right. It is heritage listed and has received coverage in several publications from In Macarthur- Your Home Annual to Highlife. The Powers have made strong attempts to keep the property original, with antique Victorian furniture throughout. The kitchen is of particular note, being one of the few Victorian kitchens still in original condition in Sydney (McIntosh, The family that saved Camelot). From horse race winnings, to love and tragedy, to ghosts, the tales from Camelot are as unique and striking as the building itself. But the current story, the story of admiration, dedication and restoration undertaken by the Powers is one that will ensure its longevity and guarantee that the stories continue for many decades to come. Chancellor, Jonathan. (25.5.1991). Title Deeds. Sydney Morning Herlad. n.a. (29.5.1991). Legend lives on. Macarhtur Advertiser. n.a. (n.d.) 7 Ghost-hunters spirited off–to court. Stillitano, Iliana. (7.10.2009). Stylish soiree set to welcome race trophy. Camden Advertiser. McIntosh, Deborah. (n.d.) The family that saved Camelot. Highlife.